Prepare for Easter with this fun-packed puzzle book! The story of Easter is introduced at the beginning of the book for children and parents to enjoy together. 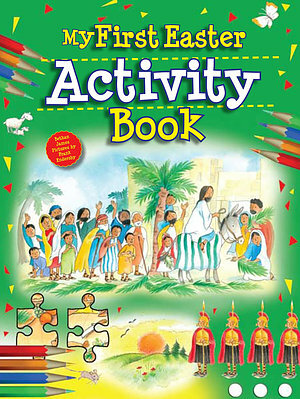 Then the Easter story is explored through fun activity pages so the child is able to engage with the story. My First Easter Activity Book by James Bethan was published by Authentic Media in January 2019 and is our 364th best seller. The ISBN for My First Easter Activity Book is 9781788930499. Be the first to review My First Easter Activity Book! Got a question? No problem! Just click here to ask us about My First Easter Activity Book.